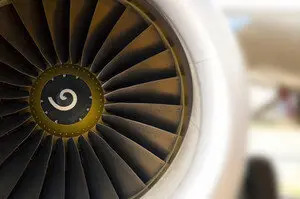 The Harrington Group International has provided process improvement and quality management solutions to many of the largest corporations in the aerospace industry. Our expertise extends to every segment of the industry and every link in the value chain. Harrington Group International (HGI) has a long and proven track record of designing and executing operation-improvement programs for the aerospace industry. Our expertise extends to every segment of the industry and every link in the value chain. HGI works with governmental authorities as well as aerospace manufacturers, their suppliers, and their distribution partners. Our clients include global leaders in aerospace and logistics, including aircraft manufacturers, third-party logistics providers, and distributors. We bring our deep experience in these areas to every engagement, and we ensure that when we leave, our clients are equipped with the tools and capabilities they need to continue to improve and grow. Our HQMS software product addresses the needs of the Aviation industry and its regulatory agencies including ICAO and the Federal Aviation Administration (FAA). The Harrington Group International has provided process improvement and quality management solutions to many of the largest corporations in the aerospace industry. Some of our clients are Boeing Aircraft, Northrup Grumman, Raytheon, Fluor Government Systems, Lockheed Martin, Honeywell Aerospace Systems, Com Dev Canada Ltd, BE Aerospace, Cascade Aerospace, International Aircraft Engines, Schweizer Aircraft Corporation , and many more.